If you've never seen this episode from the "Masters of Horror" TV series, now is your chance to make up for it with Anchor Bay Entertainment's YouTube channel. In case you're wondering, this is a completely free service which they have been providing for almost four years now. 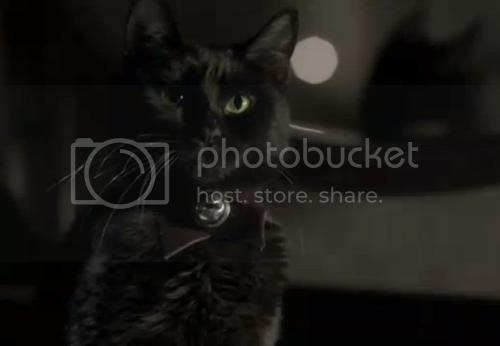 There are quite a few good movies on there but, since it's Caturday, it's time to get stuck in to some Edgar Allan Poe. "The Black Cat, set in 1840 Philadelphia, has the great writer Edgar Allan Poe, struggling with alcoholism, writers block, as well as being out of ideas, short on cash, and tormented by his wife Virginia's black cat that will either destroy his life or inspire him to write one of his most famous stories." 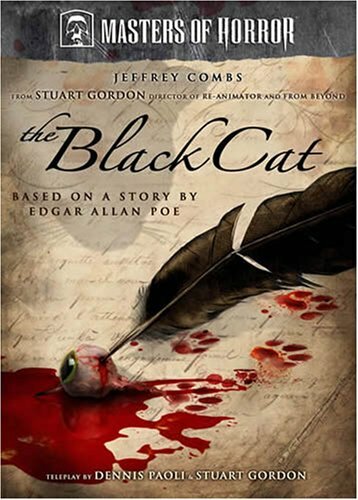 Starring Jeffrey Combs as Edgar Allan Poe, "The Black Cat" is simply the best adaptation of the story to date. Poor Pluto (the cat not the stupid Disney dog) really goes through some horrible things so, if you're at all squeamish, you'd be better off not watching those bits. Keep with it though because there's a twist at the end which makes it all better. As you may know, I bought a copy of this on DVD from a pawn shop only recently. I don't make a habit of buying crappy movies so you can trust my judgement. If you want to buy your own DVD, and I highly recommend that you do for all the special features (including an audio commentary, making of documentaries, and even the script), click the picture below.